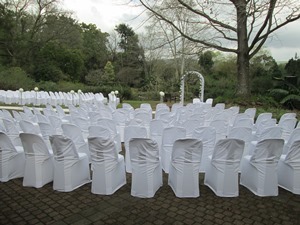 This wheelchair-friendly area can accommodate up to 5 000 people and is located between Plane Tree Avenue and Kingfisher Lake. For more information on upcoming concerts in the Garden visit the website’s events page. Facilities available include a pull-down screen; a kitchen with a stove, fridge/ freezer and sink; it is also situated near restroom facilities. 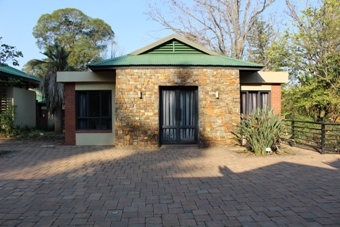 Positioned next to the children’s play area, within an open area suitable for setting up jumping castles, this spot is perfect for children’s parties. Access to plug points can be arranged. Please note that jumping castles are not provided by the Garden. 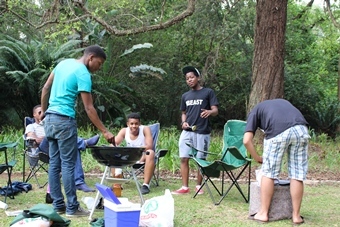 A braai area, with five braai stands, is now open to Garden visitors. 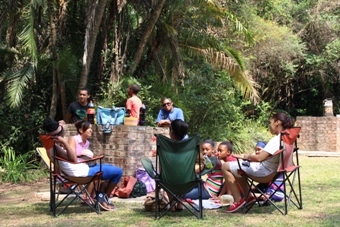 This area offers a unique braai experience with beautiful trees surrounding the area and provides shade during sunny days and cover during rainy days to a certain extent. Visitors will also find wooden and concrete benches for resting in this area. The pathways towards the braai area has been paved to make them wheelchair-friendly and to stop them being muddy during the rainy season and potentially causing injuries. A tap and a sink have been installed for easy access to drinkable water. 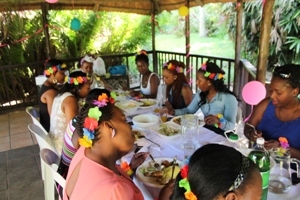 This lapa is ideal for parties and small gatherings. 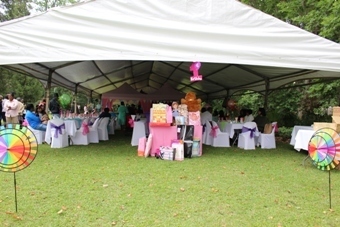 It is situated near the restaurant and children’s play area. Bring camp chairs and picnic baskets and make a day of it. There are also concrete benches to rest on. The surrounding area has been paved to prevent mud during rainy days. 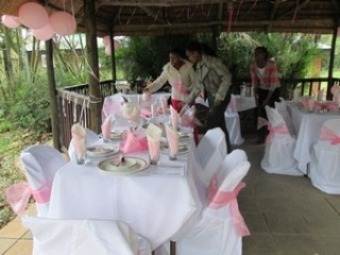 This venue is suitable for small functions, ranging from meetings, conferences, parties and bay-showers. It is positioned at the entrance of the garden, with a very convinient access for people across all ages and also people on wheel chairs. This venue is directly opposit the restaurant.